Nipah Virus (NiV) infection is an emerging zoonosis of public health importance in the South East Asia region. 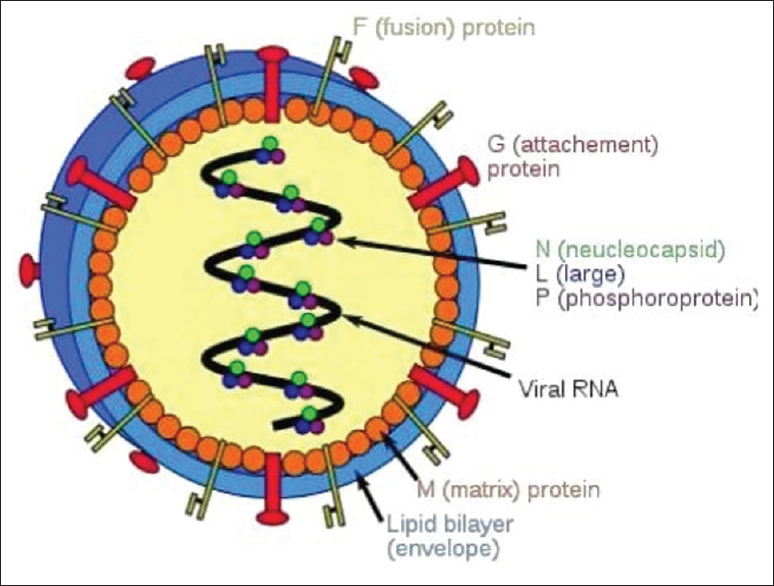 The most recent outbreak occurred in Kozhikode district, Kerala in May 2018.NiV belongs to a new genus Henipavirus under the family Paramyxoviridae. Fruit bats of the family Pteropodidae are the natural hosts of Nipah Virus. Pigs are the secondary and amplifier hosts. Infection is transmitted either directly from infected bats or pigs or indirectly through contaminated food (fruits, fruit juices). Human to human transmission has also been documented. Clinical manifestations in human beings range from asymptomatic infection to acute respiratory distress syndrome and fatal encephalitis. Case fatality rate has varied in different outbreaks from 40 –75%.In the recent Kerala outbreak a high case fatality of 91%was documented. Nipah virus is one of the most deadly viruses known to infect humans. Diagnosis is mainly by RT-PCR. There is no specific treatment or preventive vaccine for Nipah. Stringent infection control measures including standard precautions, contact and droplet precautions in health care facilities help in containing nosocomial outbreaks. A waste autoclave is essential for treating solid waste materials before disposing to the external environment. This can be done by the hospital itself (on-site waste treatment) or by a third party. Treatment of waste materials is based on the category of the waste and their disposal policy. 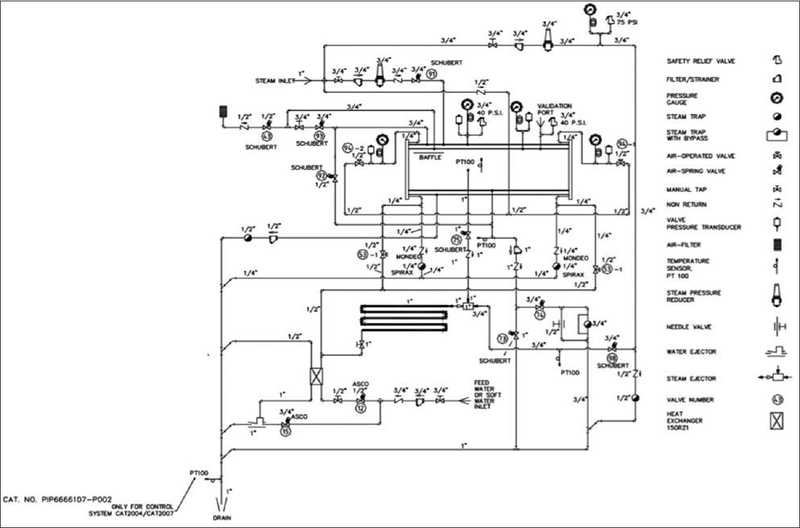 Fundamentally, clinical waste autoclave mechanism is slightly different from the clinical autoclave that is used in the hospital sterile supply department. The clinical waste autoclave assures that the residual air in the chamber and waste liquids will be sterile before disposal. The objective of this article is to distinguish the clinical autoclave from the clinical waste autoclave so that the functionality and advantages of the waste autoclave in reducing environmental pollution by sterilising the waste materials and the effluents (e.g. aerosols and contaminated liquid) at the same time before draining or disposal is understood. 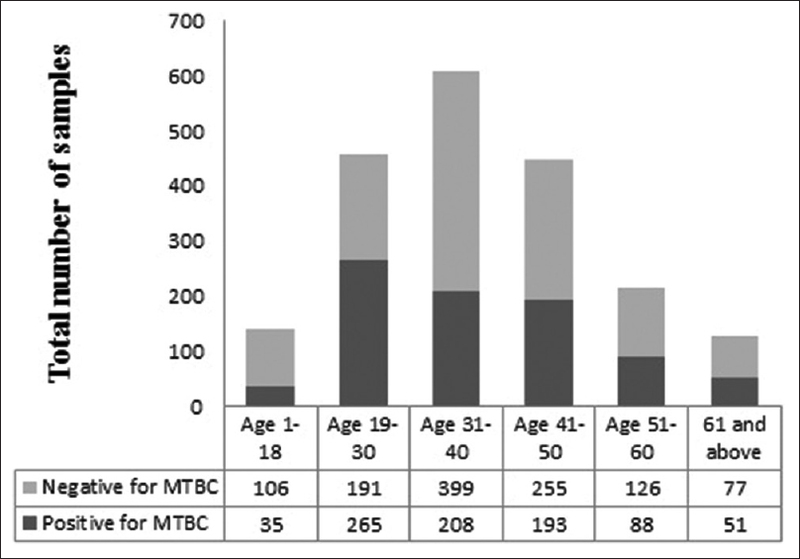 CONTEXT: Diagnosing acute bacterial meningitis (ABM) among children presenting to tertiary health care settings is often difficult because of prior administration of antimicrobials. AIMS: The present study was an attempt to diagnose cases of ABM in children with the help of nested polymerase chain reaction (PCR). SETTINGS AND DESIGN: It is a prospective observational study, in which a total of 84 clinically suspected cases and cerbrospinal fluid (CSF) biochemical parameters suggestive of ABM were included in the study. METHODS AND MATERIAL: CSF samples were subjected to Gram staining, bacterial culture and biochemical identification tests as well as panbacterial nested PCR targeting 16S rRNA gene sequence. 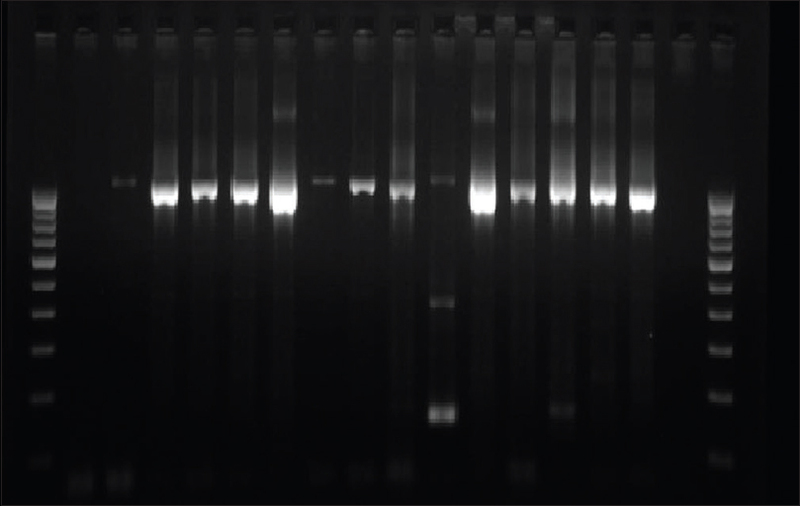 Subsequently, a nested multiplex PCR for detection of the three fastidious organisms, viz. Streptococcus pneumoniae, Neisseria meningitidis and Haemophilus influenzae, was performed. STATISTICAL ANALYSIS USED: The sensitivity, specificity, PPV, NPV, LR+, and LR− of the tests were calculated. RESULTS: The sensitivity of Gram stain, bacterial culture, and nested PCR targeting 16SrRNA were observed to be 16.21%, 9.45%, and 97.29% respectively. 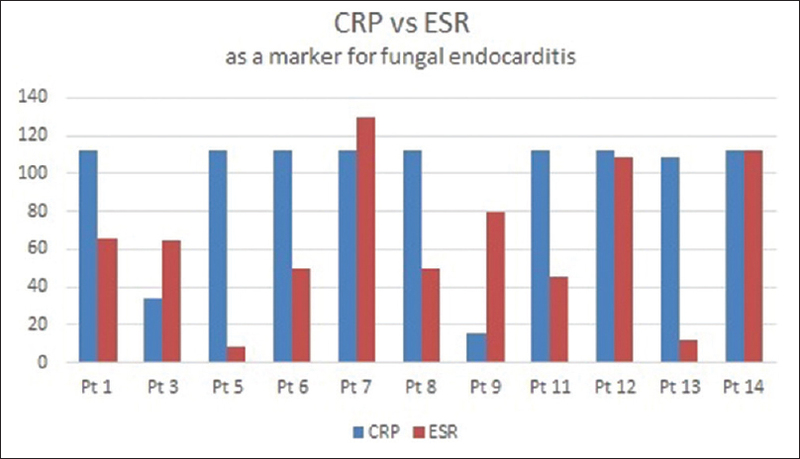 Further, the NPV and LR− the PCR were found to be 83.33 and 0.02 respectively. Species specific nested multiplex PCR was able to detect S. pneumoniae (n = 7), N. meningitidis (n = 2) and H. influenzae (n = 1). CONCLUSIONS: The results indicates that nested PCR targeting 16S rRNA gene may be used in diagnosis of ABM. Further, nested multiplex PCR targeting the three important fastidious bacterial pathogens in ABM cases has showed their presence in our region. INTRODUCTION: Urinary tract infections (UTIs) are among the most common bacterial infections. Escherichia coli remains the most frequent cause of UTIs. More important is the increase in resistance to some antimicrobial agents. Furthermore, bacterial species are capable of living in a biofilm. 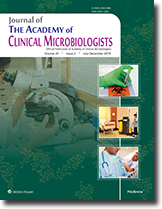 There is increasing evidence for the role of bacterial biofilm in causing recurrent UTIs. AIM: The present study aimed to evaluate the ability of E. coli, isolated from UTIs to form a biofilm, and its association with catheterisation and to correlate the role of biofilms with their antimicrobial resistance. MATERIALS AND METHODS: A total of 403 urine samples were processed. All the isolated E. coli strains (226) were grown in Luria broth and were incubated overnight in high-glucose Dulbecco's modified Eagle's medium using a microtitre plate. The plate was stained with crystal violet, and the biofilm was quantified using an enzyme-linked immunosorbent assay plate reader at 570 nm. An optical density value more than that of the mean negative control plus three standard deviations is taken as positive for biofilm production. 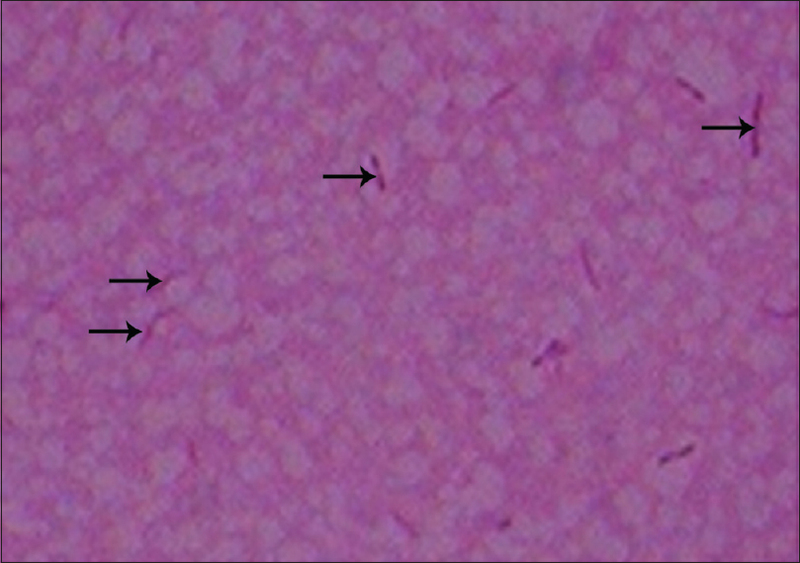 The antibiogram was done using the Kirby–Bauer disk diffusion method. RESULTS AND DISCUSSION: Of 226 strains, 54.4% were found to produce biofilms. Of them, 81.3% of patients were catheterised. Most of them were found to be resistant to commonly used antibiotics such as Cephalosporins, Quinolones and Aminoglycosides. Imipenem and Nitrofurantoin are the most effective antibacterial agents, showing 77.3% and 73.2% sensitivity, respectively. CONCLUSION: The biofilm assay using a microtitre plate is convenient and useful in screening the biofilm producers. Catheterisation is a risk factor for biofilm production, and catheter care is of paramount importance to prevent catheter-associated UTI. CONTEXT: Rapid detection of pathogens in infected body fluids will help in establishing an aetiological diagnosis, thereby facilitating specific therapy. Molecular methods have an advantage over conventional bacteriological techniques in particularly identifying slow-growing, fastidious or non-cultivable organisms. AIM: The aim of this study is to evaluate the use of 16S rRNA polymerase chain reaction (PCR) for detecting bacterial pathogens in body fluids and compare with conventional culture methods. SETTINGS AND DESIGN: This study was done at the Clinical Laboratory of the Department of Microbiology. This was a cross-sectional study design. MATERIALS AND METHODS: A total of 100 consecutive samples which included synovial fluid, cerebrospinal fluid, ascitic fluid and pleural fluid received in the laboratory during the study period were subjected to PCR for 16S rRNA using specific primers and conventional culture by standard protocol. Samples which were positive for 16S rRNA were sequenced to identify the organism. Results of sequenced products were compared in terms of number of organisms, with culture isolates. RESULTS: The detection rate of 16S rRNA PCR was at 13% as compared to culture at 3% (P = 0.0009). The diagnostic sensitivity and specificity of the PCR were 100% and 89.7%, respectively. The concordance of PCR and culture for both identical positive and negative samples was 90%. CONCLUSIONS: The 16S rRNA PCR proved to be rapid method for detection of bacterial pathogens in body fluids. It may be a valuable tool in the diagnostic armamentarium for differentiating bacterial infection from others and starting empiric treatment. Diarrhoeal illness is manifested as watery diarrhoea or loose stool and mucus with or without blood. Campylobacter spp. act as one of the important bacterial causes of diarrhoea in children. Awareness about the presence of these organisms is scant in Thrissur region of Kerala, India. Hence, we herein present a case of campylobacter diarrhoea in an infant that was preliminarily identified by Gram stain examination of stool sample and further confirmed by culture and multiplex polymerase chain reaction. Vancomycin-resistant Enterococci have become one of the most challenging nosocomial pathogens with limited therapeutic options. We report three cases of Vancomycin-resistant Enterococcus faecium isolated from urine, perinephric collection and blood of paediatric patients over a period of one year from June 2015–2016 in a tertiary care centre in South Kerala. Low-temperature sterilisation basically depends on four types of sterilisation systems, i.e. gamma irradiation, Ethylene oxide sterilisation, Hydrogen peroxide (H2O2) and steam Formaldehyde sterilisation. The article has been described on the basis of these low-temperature sterilisation systems with their infrastructural ease, regulatory requirements, cycle time, sterilisation efficacy, safety features and cost. In our experience, the H2O2-based sterilisation system is superior over the other methods due to its easy installation and cycle time that helps to perform more procedure in a day and reduces infection by providing terminal sterilisation (ready-to-use) processes. Besides due to the short cycle time of the H2O2 steriliser, it requires fewer inventories and saves cost to the management in the long run. Shewanella are Gram-negative non-fermentative oxidase-positive saprophytic bacteria producing H2S. Although rarely associated with infection, they are seldom associated with skin and soft-tissue infections, abscesses, wound infection, osteomyelitis, intracranial infections, peritonitis, neonatal infections and outbreak infections. A 24-year-old male presented with open wound over the dorsum of the right foot with exposed muscles and tendons five days following a road traffic accident (RTA) with pus discharge. X-ray of the right foot showed fracture third metatarsal. Wound swab culture showed the growth of Shewanella algae and Escherichia coli. S. algae was susceptible to Amikacin, Cefotaxime, Ceftazidime and Imipenem and resistant to Ciprofloxacin. The patient was treated with injection Amikacin, regular dressings, limb elevation and analgesics for 10 days. Tissue specimen from the wound was sent for culture after 10 days and was negative for bacterial growth. Open reduction and internal fixation with axial K-wire with plates and screw and split skin rafting was done. The patient responded well to the treatment, and follow-up was uneventful. In the present case, there was no history of contact with marine environment, and infection developed following RTA wound. Although S. algae is rarely isolated, clinicians must be aware of rare pathogens. The present case highlights the importance of Shewanella spp. as a potential emerging infectious agent. CONTEXT: Because of limited exposure to the vast field of microbiology in the undergraduate time, a notion is generated among young doctors that microbiology only deals with laboratory diagnosis and teaching. When a young medical graduate enrols him/herself to microbiology and see the vastness of the subject and shrinkage of known job prospects, a sense of uncertainty and scepticism about the future creeps into the students mind. It has become a role of a postgraduate teacher to act as a mentor in such moment of crisis. AIM: The present article is aimed to explore the job prospect of a medical microbiologist in various fields, namely hospital setup, laboratory practice, research, corporate world, further studies and also to discuss the job profile, the challenges and future prospectus in each field. CONCLUSIONS: Now, microbiology has evolved beyond a subject encaged in laboratory and teaching or research; in its current form, it has an immense role in patient care and treatment and it has a great market value in the corporate field.